Martin's ukulele strings offer an easy playing feel, excellent tuning stability and a warm clear tone. The high tensile fluorocarbon holds tunings longer and improves harmonic output for consistent true tone. Experience the small but mighty sound of Martin Ukulele strings. 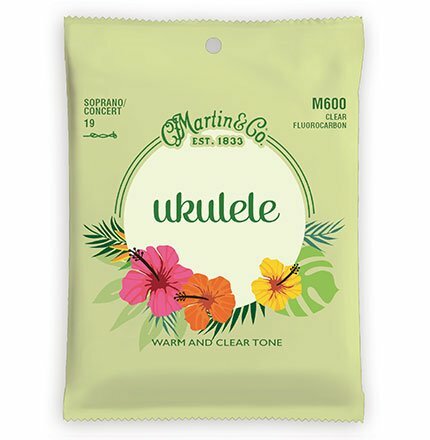 Martin Soprano and Tenor ukulele strings are made with clear fluorocarbon. Our Baritone ukulele strings are made with clear fluorocarbon, aluminum wrap wire, and silver-plated copper on nylon.